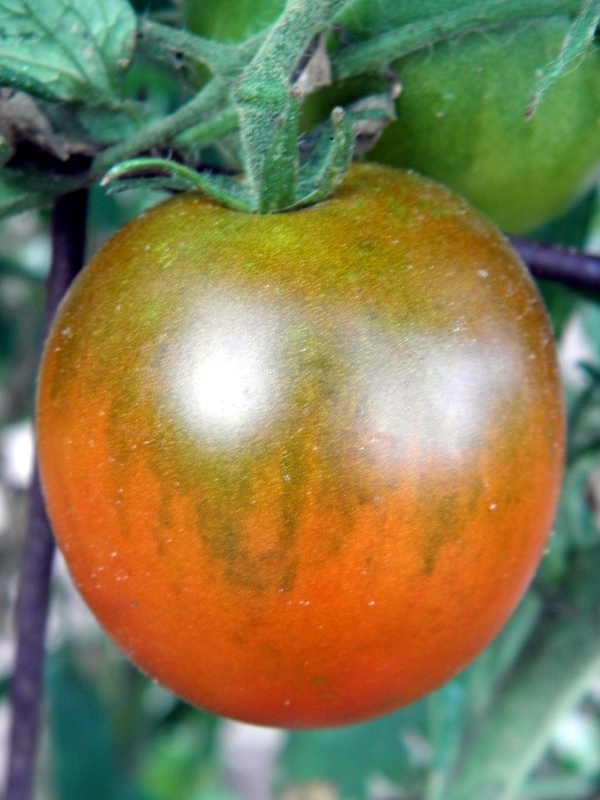 Black Bumblebee is an usual black and amber cherry tomato with a green interior. It's a cross of my Bosque Green Cherry and Bosque Blue Bumblebee. 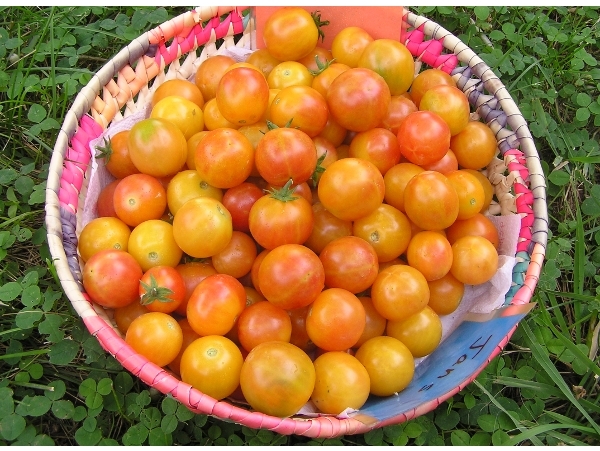 The small plants are absolutely thick with these 3/4" cherry tomatoes which ripen continuously through a long season. The flavor is clean and spicy. Approximately 60 days to maturity form transplanting out.